1Physics, Solid Physics Department, National Research Centre (NRC), Cairo, Egypt. 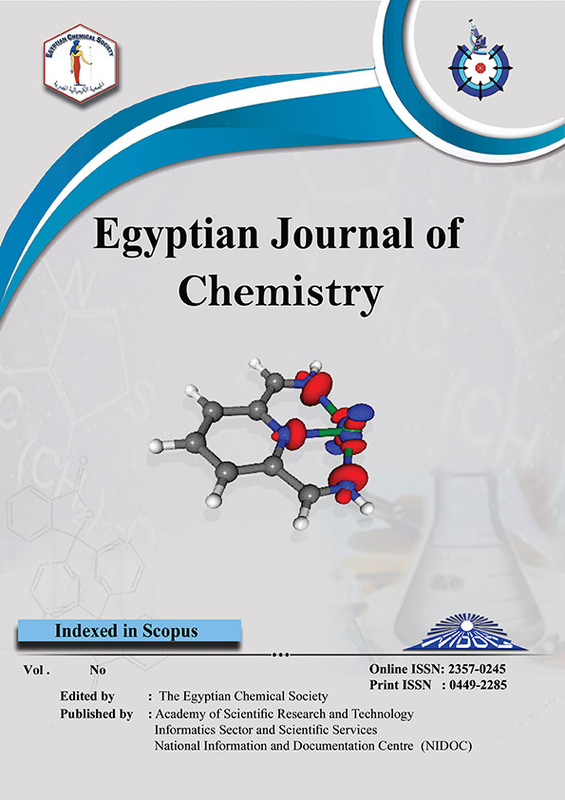 2Chemistry Department, Faculty of Science, Helwan University Cairo, Egypt. 3Petroleum Applications Department, Egyptian Petroleum Research Institute (EPRI)Cairo, Egypt. In this work, ZnO and TiO2 nanoparticles were prepared separately by sol gel method. Structural, morphological and optical properties of both of them are studied. A hexagonal crystal structure of ZnO was formed, while different weight ratio of Anatase (85%) and rutile (15%) phases of TiO2 nanoparticles were formed as confirmed by the X-ray diffraction (XRD). In addition, The XRD and Raman spectroscopy showed that our materials are polycrystalline. The particles sizes were calculated by sheerer formula are found to be closed to that got from scanning electron microscope (SEM) and transmission electron microscope (TEM). The band gaps for both materials were calculated from Kubelka-Munk function using their measured diffuse reflection. The band gap for ZnO and TiO2 nanoparticles found to be 3.4 eV and 3.2 eV respectively. Poly [2-methoxy-5-(2-ethylhexyloxy-p-phenylene-vinylene] which named MEH-PPV with C60 were dissolved and spin coated on glass substrates to get thin film. Structural, morphological and optical properties of this thin film were studied. Also, the effects of adding any of our metal oxides nanoparticles (ZnO or TiO2) on the physical properties of MEH-PPV:C60 are studied. All results are correlated to check the applicability of using these layers as an absorber layer for solar energy applications.